I was giving Sky her medication today which is always a struggle. 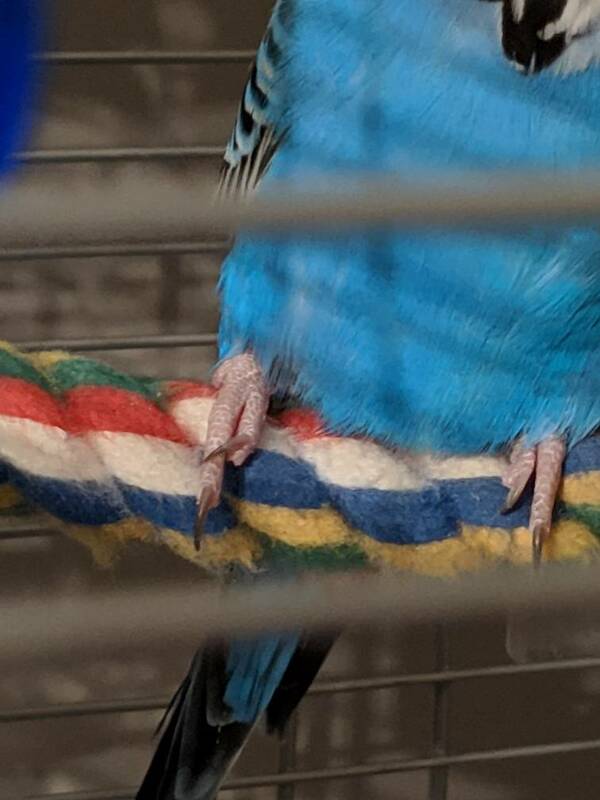 When I put her back into her cage I noticed one of the nails on her right foot looked bent. It isn't bleeding but she's definitely relying on her other foot more now. She picked at it a bit before going to bed. Do you think she's in pain? If she is picking at it and favoring that foot then it is bothering her, can't say how much pain it is causing. I would have it looked at by an avian vet if she continues to be bothered by it. Is there any sign of a cut or small break in the skin around the nail? I second Cody’s advice. I’s imagine it would be bothering her to some degree if she’s favoring the foot. Keep us posted on this please. Her nail looks completely back to normal today. She's sitting normally and isn't picking at it anymore. I'm very surprised. Thanks for your help! That’s good news! I’m surprised too, that it went back in place without a problem the next day!